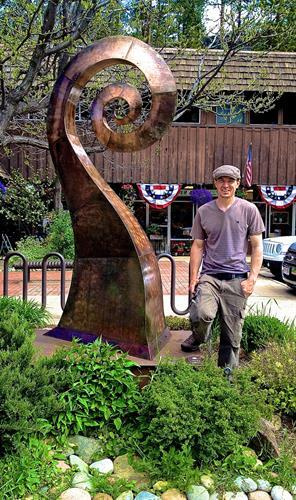 The pieces in our Annual Sculpture Walk and our permanent sculptures may be viewed 24/7. Very few towns the size of Evergreen have such a wealth of outdoor sculptures on display, all made possible by Sculpture Evergreen. Thanks to its Board of Director's belief in beauty and art as a means to enhance our lives, Evergreen visitors and residents are enriched by this valuable cultural endowment. 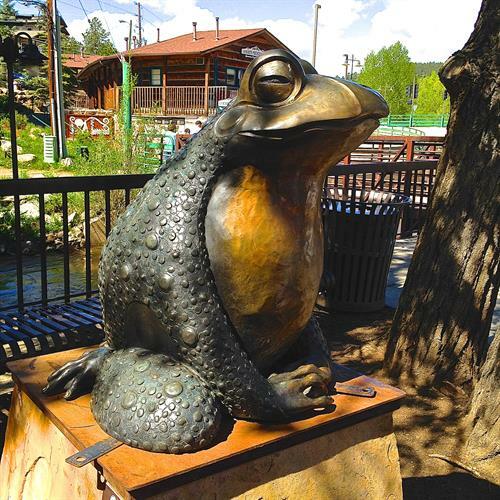 Since 1994 SE has been adding to the extraordinary display of sculptures, often seen against the backdrop of the Rocky Mountains, Ponderosa Pine, Colorado Blue Spruce and rough granite outcrops. 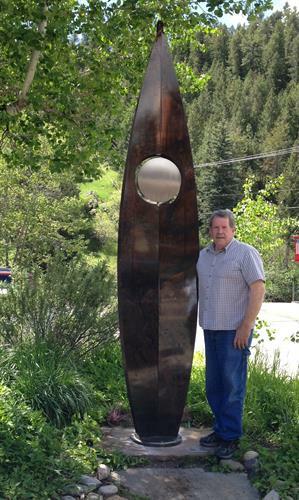 The thirty-two sculptures in the permanent collection are placed throughout Evergreen and Kittredge. 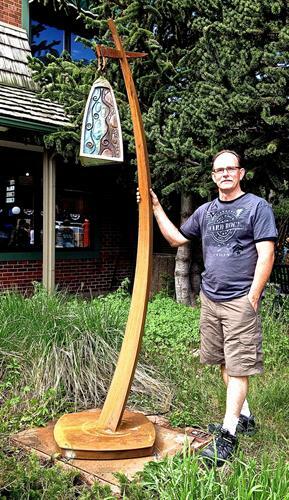 The annually rotating Sculpture Walk is comprised of up to sixteen sculptures, which were selected through the annual call for entries competition and are for sale. You may wish to walk several trails, which will allow you to view twenty-three of the permanent pieces and many of the annually placed pieces in the Walk. Take the entire Evergreen Sculpture Trail, walking a total of 6 miles, much of which is paved, with zero car traffic, and wanders through some of the most scenic parts of Evergreen. The Buchanan Ponds loop which measures less than a mile can be accessed with parking at the Rec center or fire station, and will allow you to view 9 sculptures. The Evergreen Lake and Downtown loops, measuring a little over a mile and a quarter (about 1 mile loop around the lake, combined with 1/4 loop downtown) will allow you to view 12 sculptures. A self-guided tour features a description of each piece that can be accessed by cell phone at each location. Maps are also available. 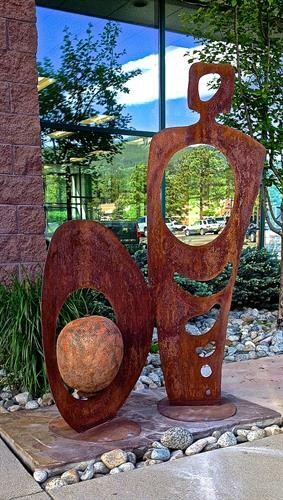 Sculptures located at sites between Bergen Village, Evergreen Library, Downtown Evergreen, Evergreen Lake, and Kittredge.